The good news is that you have a great company from which to buy industrial hose supplies in Los Angeles County. The better news is that it’s ASJ Industrial Hose & Fittings and we have one of the largest inventories of industrial hose supplies in the state. With years of experience in this very specific field, we know how to ensure you get what you want and that you get it on time. If you’re ready to order then give us a call at (951) 735-1351 or read on to find out more. There are plenty of companies out there that may be able to sell you industrial hose supplies in Los Angeles County CA but most of them don’t specialize in this field. 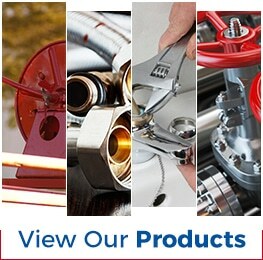 At ASJ Industrial Hose & Fittings, we’ve been in this business since 1985 and we know how to help our customers. We know that you’re looking for, how to choose the best brands, what accessories and fittings we must have on hand, and how to assist with everything of industrial hose, from heavy equipment hoses to food and beverage hoses. Do you need help right away with industrial hose supplies in Los Angeles County CA? There are many reasons that we carry the entire line of Continental ConiTech rubber hoses, including the fact that they’re often the best option for the job. However, they aren’t always – which is why we also carry more than a dozen other brands. What we don’t carry are cheap, unreliable hoses. We work to find the best balance between competitive prices and the highest quality because we know that you want nothing but the best in industrial hose supplies in Los Angeles County CA. Our 20,000-square foot facility is a far cry from the garage our company started in, and the space we have today allows us to have an impressive inventory. You may be surprised by all the supplies you can get in-stock either for immediate pick-up or for immediate shipping. If you need a particular brand, part, or supply, just give us a call at (951) 735-1351. We are proud of our impressive inventory but we’re even prouder of having some of the best employees around. They will provide you with excellent customer service along with an incredible amount of knowledge. 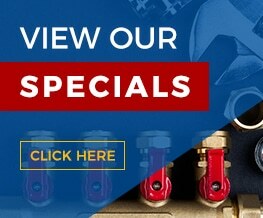 They know our clamps inside and out, and can help you choose the right option to stabilize your hose configuration. They can walk you through the various options in strength, design, material, size, etc. Whether you’re ready to go and know exactly the industrial hose supplies you need, or you need a little help, we are here for you. We know that our customers are looking for a large selection of concrete hoses but they’re also looking for a company they can trust. When you work with ASJ Industrial Hose & Fittings, we will provide on-time, accurate orders every time. We will communicate with you regarding your order, its status, and shipping. If you come to our location to pick up your order then you can count on it being ready when we say it will be. Contact us at (951) 735-1351 for more information.